Tucked on Bedford between North 7th and 8th stands Ella Café. Ella prides itself on being green, using organic ingredients and biodegradable materials. 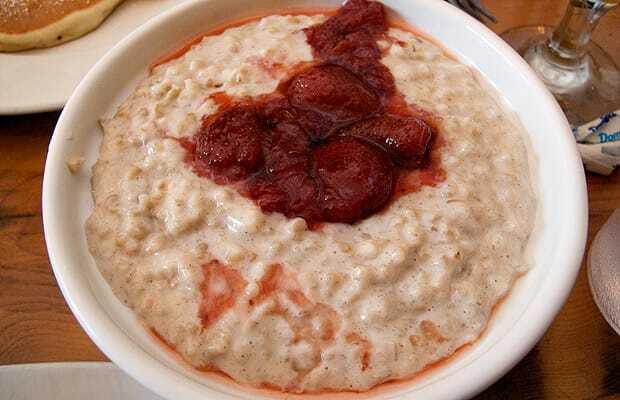 I ordered the phenomenal, highly slept-on, organic steel-cut oatmeal with strawberries. One hearty serving easily feeds two. The oatmeal is thick and creamy, with hints of cinnamon and nutmeg. The strawberries are fresh, and add another layer of sweetness without overpowering the grain. The organic kielbasa skillet is another favorite: two organic eggs, rosemary potatoes, mushrooms, onions, Swiss cheese, roasted red peppers, toast, and unlimited coffee or fresh-squeezed orange juice. The eggs and melted cheese envelop the entire dish; each forkful is sure to include at least one sausage chunk.